Photos below was taken multiple photos and stitched using the photo shop merge function. I did some color, level and white balance adjustment to make the photo more better. 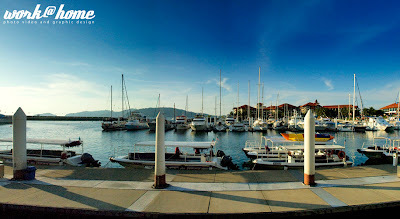 The marina look so nice when taken in panorama mode since i don’t really have a wider angle lens. 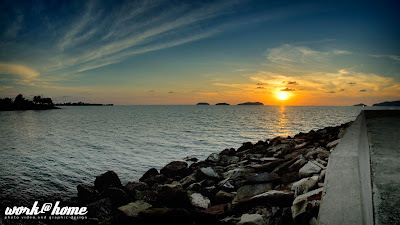 I would like to take more wide panorama shot of some place in Kota Kinabalu if the weather is better.